Pomerelia ( ) is a historical region in northern Poland . Pomerelia was situated in eastern Pomerania on the southern shore of the Baltic Sea , centered on the city of Gdańsk (Danzig) at the mouth of the Vistula. It is now located in the Polish Pomeranian Voivodeship and sometimes referred to as Gdańsk Pomerania . In its early history, the territory of later Pomerelia was the site of the Pomeranian Culture (also Pomerelian face urn culture, 650 BC -150 BC), the Oxhöft culture (150 BC – 1 AD, associated with parts of the Rugii and Lemovii), and the Willenberg Culture (1 AD – 450 AD, associated with Veneti, Goths, Rugii, Gepids).) In the mid-6th century, the Vistula estuary is mentioned by Jordanes, describing it as the home of the Vidivarii. 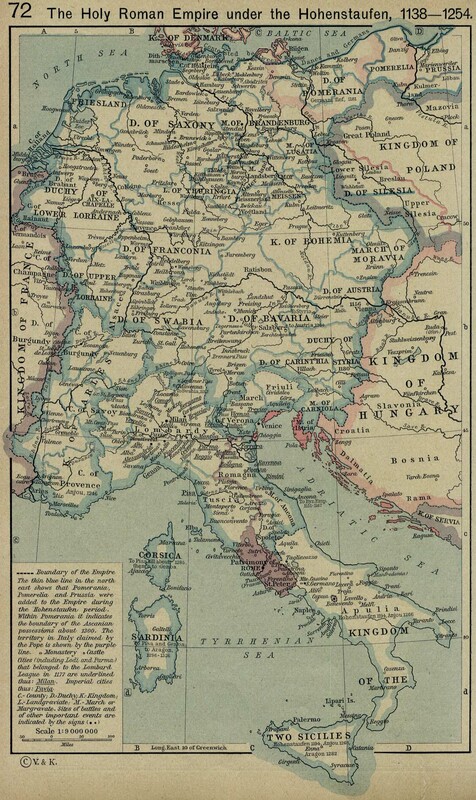 Pomerelia was settled by West Slavic tribes in the 7th and 8th century. For a list of dukes, see Pomeranian duchies and dukes. In the tenth century, Pomerelia was settled by Slavic Pomeranians, which were subdued by Boleslaw I of Poland. In the eleventh century, they created an independent duchy. In 1116/1121, Pomerania was again conquered by Poland. While the Duchy of Pomerania regained independence quickly, Pomerelia remained within the Polish realm. In 1138, following the death of Duke Bolesław III, Poland was fragmented into several semi-independent principalities. The princeps in Pomerelia gradually gained more power, evolving into semi-independent dukes, in contrast with other Polish territories that were governed by Piast descendants of Bolesław III. The Samborides ruling Pomerelia gradually evolved into independent dukes, who ruled the duchy until 1294. Before Pomerelia regained independence in 1227, their dukes were vassals of Poland and Denmark. In 1210, king Valdemar II of Denmark intervened in a pagan reaction that occurred in Pomerania and Prussia. The duchy was temporarily partitioned into the principalities of Gdańsk (Danzig), Białogarda (Belgard a.d.Leba), Świecie (Schwetz), and Lubieszewo-Tczew (Liebschau, Dirschau). The most famous dukes were Mestwin I (1207–1220), Swantopolk II (1215–1266), and Mestwin II (1271–1294). The Pomerelian duchies were initially referred to as "Pomerania", not to be confused with the Duchy of Pomerania. The Pomerelian dukes therefore were styled Dukes of Pomerania. Christianity was introduced when the area was under Polish rule. While the bulk of Pomerania was within the Roman Catholic Diocese of Cammin, Pomerelia was made part of the Roman Catholic Diocese of Leslau . The Christian centre was Oliva Abbey . the death of Mestwin II of Pomerania in 1294, his co-ruler Przemysł II of Poland claimed Pomerelia basing it on the treaty made at Langenfort , later Kempen (Treaty of Kępno) from 1282, in which Mestwin declared Przemysł II his sole successor. Yet, the Brandenburg margraves also held claims based on the Treaty of Arnswalde of 1269. Przemysł was soon succeeded by King Wenceslaus II of Bohemia. That agreement was made between Albert I, King of the Romans, and Wenceslaus, who received the territories of Greater Poland and Pomerelia into his possession and accepted sovereignty over it by King Albert I. In 1300 at Mainz Wenceslaus received the Polish crown from Albert. Upon the deaths of Wenceslaus and his successor Wenceslaus III and with them the extinction of the House of Przemysł, Pomerelia was recaptured by Władysław I the Elbow-high in 1306. Despite that the Margraviate of Brandenburg staked its claim on the territory in 1308, leading Władysław I the Elbow-high to request assistance from the Teutonic Knights, which evicted the Brandenburgers. After Władysław refused to pay the substantial fee to the Teutonic Knights, the province was annexed and incorporated into the Teutonic Order state in 1309 (Teutonic takeover of Danzig and Treaty of Soldin). After the Second Peace of Thorn , Pomerelia, as part of western Prussia, became part of the Polish province of Royal Prussia. As part of Royal Prussia, Pomerelia was annexed by the Kingdom of Prussia during the 18th century Partitions of Poland, becoming part of the new Province of West Prussia. After World War I (1914–1918), the Treaty of Versailles transferred most of the region from Weimar Germany to the new Second Polish Republic , forming the so-called Polish Corridor. Starting in the High Middle Ages, Pomerelia was settled with Germans during the Ostsiedlung. German Pomeranians dominated in the towns, while in many rural areas the descendants of the Slavic Pomeranians dominated (i.e. Kashubians, Kociewiacy, and Borowiacy). The Vistula delta was in the Middle Ages settled by the Vistula Germans. In modern times, there was also a Polish immigration, and the rural Slavs were at times considered to be Poles, too. Following Nazi Germany's defeat in World War II, the German population fled or was expelled.